What Toys Does A New Baby Need? The average American baby registry has over 4,000 items. Okay, that's an exaggeration. But doesn't it seem like that when step into a big box baby store? There is a lot of stuff that you'll need but toys for your newborn shouldn't top the list. In the early months, when baby's play consists primarily of looking, wiggling, kicking and swatting at things, your home is a goldmine of baby toys. You just have to look for them. To keep baby's playtime fresh and interesting, look around your home for items that have bold, high contrast patterns or pictures. I found lots of fun materials arriving with every baby gift we received - gift bags, cards, and bows. Even the gift tissue paper was put to good use! It makes a crinkly noise when kicked or swatted at that our little one loved. Read about a newborn activity with gift tissue paper. 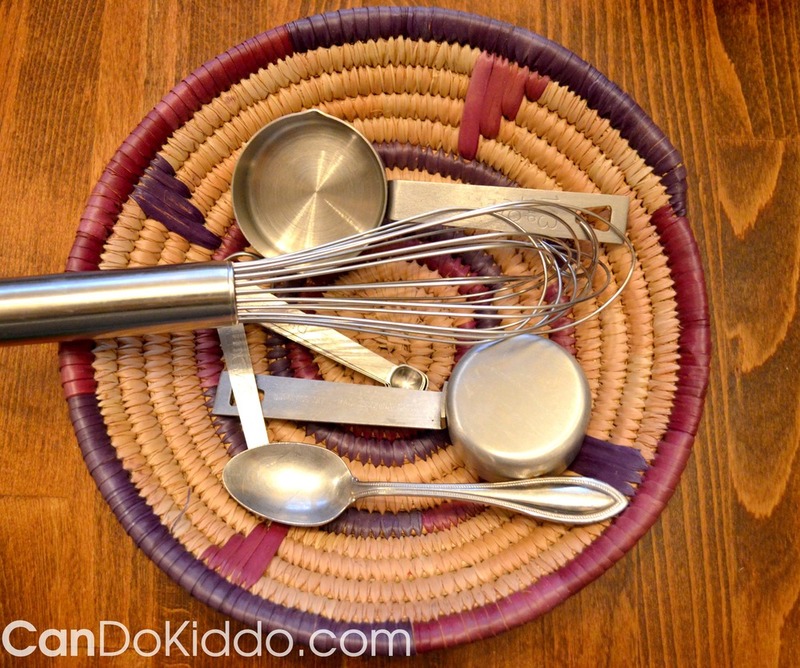 Recently I made a grabbing basket of metal objects from the kitchen - measuring spoons and cups plus a whisk - which make great noises as they're explored. You can use the same concept to gather cardboard items or objects of the same color into grabbing baskets for your little one to explore (and drool on). And don't forget to look in the yard for natural materials for play. And check out other sensory play activities using natural materials. Finally, your home is a treasure trove of containers for baby play. I've found that Rowan has much greater interest in objects if they're contained in a pan or basket than just scattered on his blanket. Maybe it's the fact that they don't scoot all over when he tries to grab them. Maybe they're visually easier to see. Maybe he's showing signs of being an organizing fanatic and will request a label maker for Christmas when he's 3. Whatever the reason, playtime is more successful when I use shallow pans, casserole dishes, baskets and other containers from my home. And when your baby gets a bit older, discover how container play is a great learning activity for putting in and taking out! By becoming a baby toy scavenger, not only will you save money on baby toys, you'll have a house with less STUFF. When playtime is over, the playthings go back in the kitchen drawers, the gift wrapping box or - in some cases - to the trash can where they were originally headed. 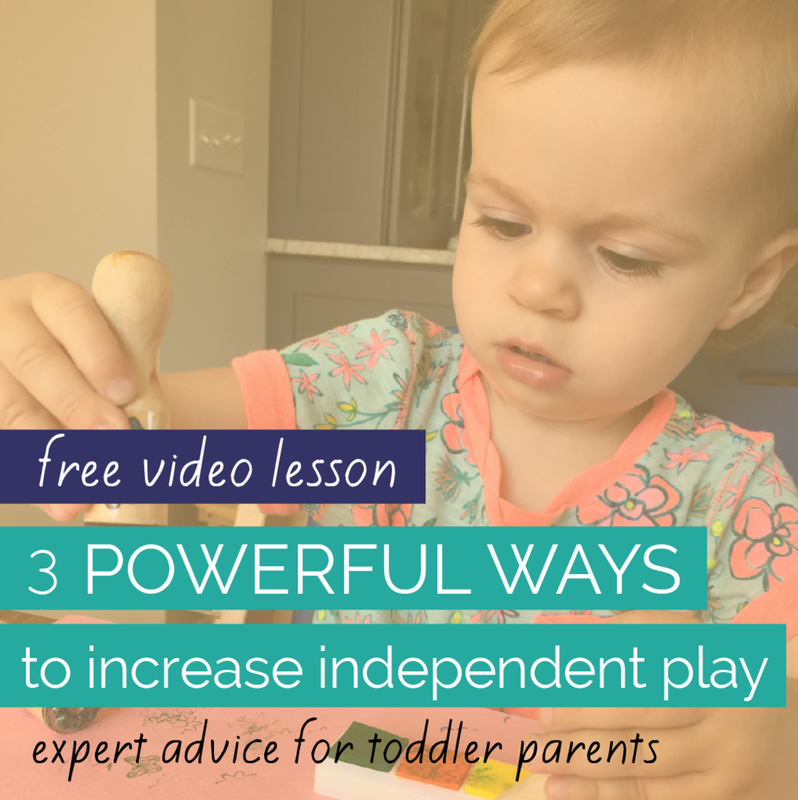 Because you can never be quite sure when your little one will begin grabbing and putting everything in her mouth, you'll need to be extra vigilant that household materials are safe and always provide CLOSE supervsion (eyes on baby within arm's reach). Be sure your little one gets plenty of awake time each day in Tummy Time, belly-up play (especially with toys placed to the side to promote head turning) and in the sidelying position. This helps develop balanced muscle strength, sensory development and reduces your baby's risk of Flat Head Syndrome (Positional Plagiocephaly) and Torticollis (one-sided neck tightness). Leave a comment to share with other parents what you were able to find in your home to keep your baby playing and moving! 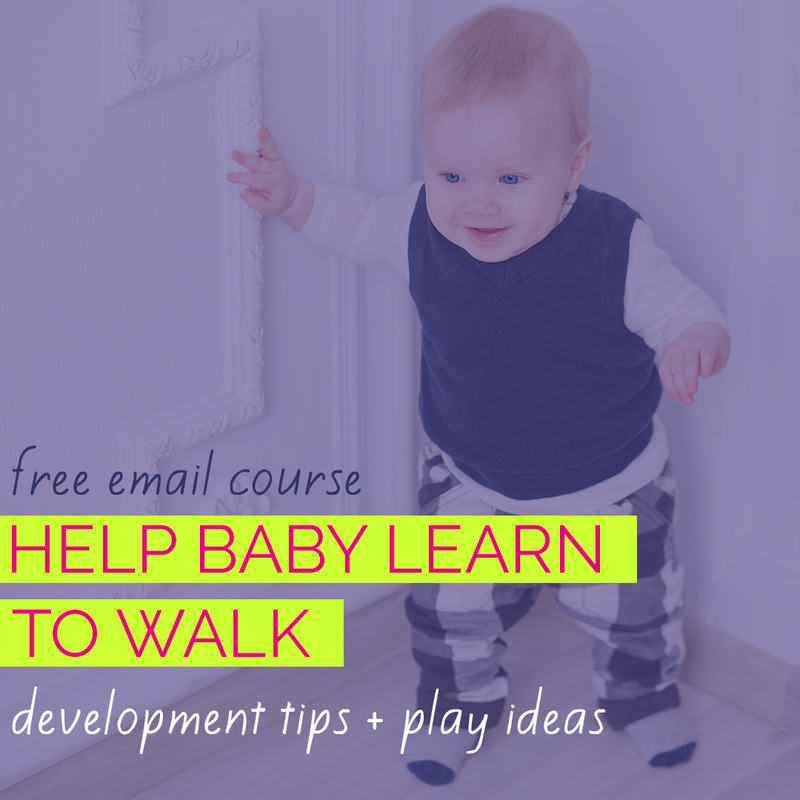 Looking for more ways to play with your infant? Available in eBook and print formats, "Begin With A Blanket" walks you through 45 creative play activities for babies starting in the first weeks of life. 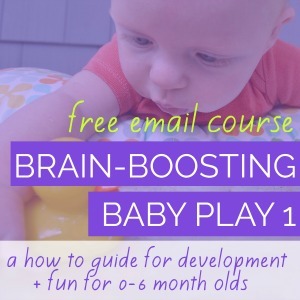 It also help you better understand your infant's development so that you can give your baby the best start possible!